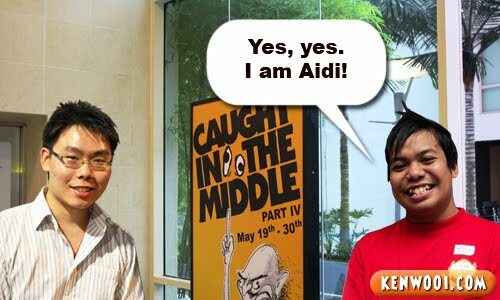 If you’ve been following my Twitter, you would have known that I won myself invitations to Caught in The Middle Part IV at PJ Laugh Fest. In case you’re wondering what’s that, it’s a comedy act. 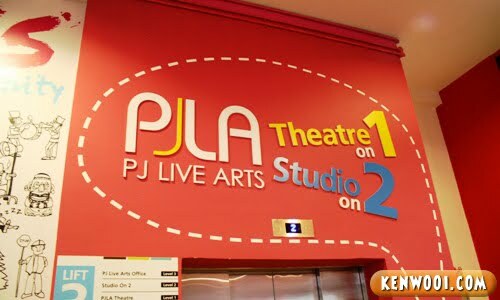 Jaya One is the venue. How did I get the invites? Well, I submitted a joke (the Sending Postcards conversation to be exact) on Nuffnang’s blog entry and surprisingly, I got it. Since I was invited, I went all the way to KL to watch it. Oh yeah, this was my first time attending an event collaborated with Nuffnang. So, I was kinda excited to meet some bloggers, but when I reached the ticket-collection counter – I didn’t recognized most of the people, except for Nuffnang’s Public Relation Xin Xian aka Fresh. Besides that, Blabberina from CacaMarba Me approached me earlier while I was at Wendy’s. Nice meeting her! 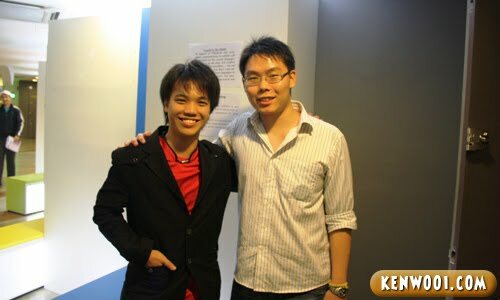 Another Nuffnang personnel I met was David Wong. He was sitting beside me during the show. 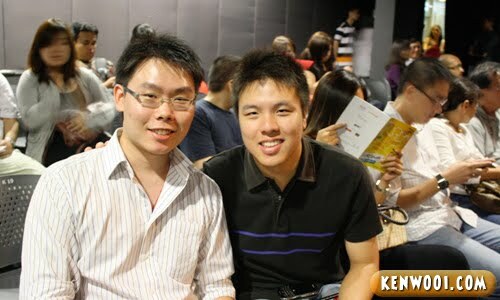 During the interval, I managed to catch up with Adrian (from adrianleong.com) real life, no more on-line. A cool magician. Well, the whole comedy show was pretty lengthy. It started at 8.40pm and ended 11pm-plus, with 20 minutes interval in between. Totaling up to 2 hours-plus. 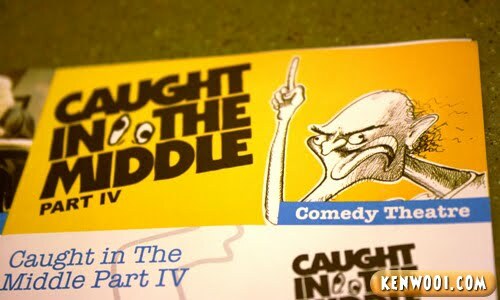 If I’m not wrong, comedy shows should be short and sweet – presenting the best hilarious points and end it with a BANG! Right? But perhaps it’s a different thing. 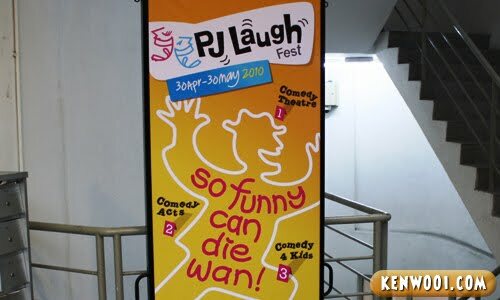 So, are they sure that it’s “So Funny Can Die Wan!”? I don’t think so. 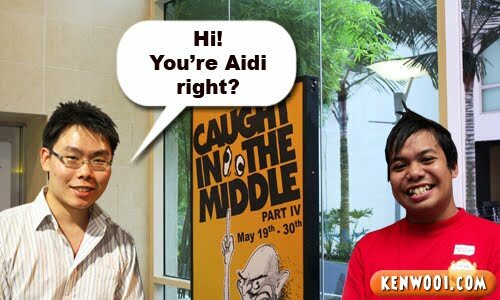 Oh yeah, I bumped into Aidi from aidi-safuan. I greeted him first and this was the conversation between us. HAHAHAHAHA…. aiyorh! seriously sorry bout that la ken! btw, didn’t saw u after the show is over. now u in ipoh already? Laughter is the best “killer”… haha! Haha!! Thanks. It was nice meeting you too Ken. haha. alex can also. chill ken. maybe it’s bcz u seldom post ur pic, thats why they cant recognize you. So the show was not that funny after all? Probably even boring? Anyone laughed? Haha! funny or not the show? Haha :D Famous what! They associate you with Alex! I would go around and introduce myself and meet people…and people will introduce me to people…and in the end I would get to know most of everybody there. maybe u should submit your blog to nuffnang, lagi hilarious anytime! 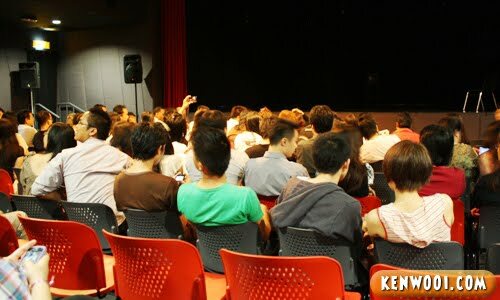 yo… sit too long also no shiok, huh… but the best part is meeting up bloggers… at least u know a few, if i were to go, i think i end up being Mrs. Lonely! LOL!!! the last pic bubble talk!! Bloggers being anonymous mostly, it’s not easy to identify them in person unless one goes around introducing oneself. Congrats on being invited. were u holding a canon dslr by chance? I heard it was pretty good, except a bit long. Unfortunately I had to be somewhere that night. how i wished i was still in pj. my previous study place was only 10-minute walk awayy from jaya one. just joined u..luv ur cretivity. i sat at the second row behind in the middle though. 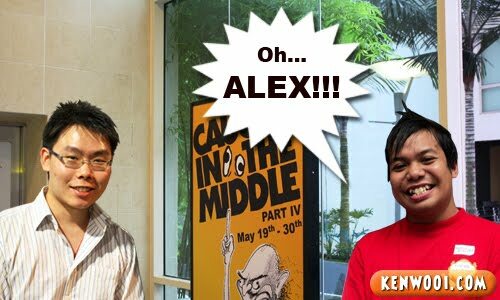 Hello Alex! 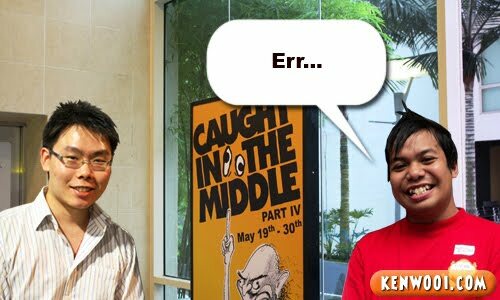 I am not very active in blogosphere as well as Nuffnang events unless the events will take place in KL lol else we could have met :) We shall wait then lol!